West Virginia's state motto is "Wild and Wonderful," and on Monday night, the Fox News debate between the three Republican candidates vying for a chance to unseat vulnerable Democratic Senator Joe Manchin was certainly wild. 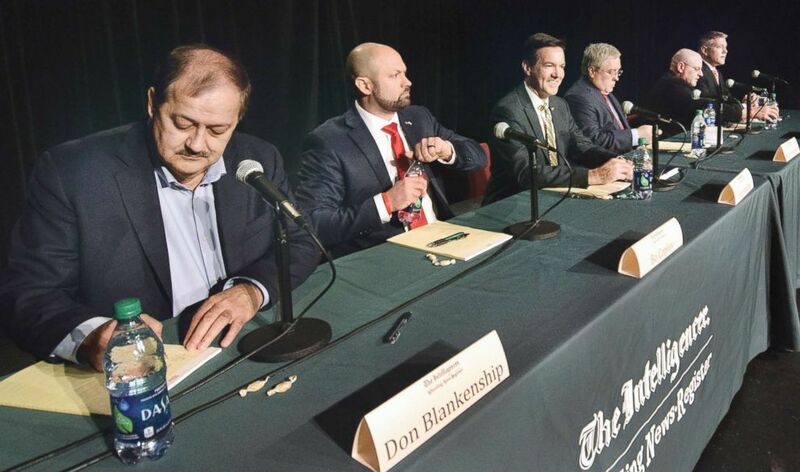 Before a live audience in the college town of Morgantown, the three Republican front-runners, Congressman Evan Jenkins, current state Attorney General Patrick Morrisey and former coal executive Don Blankenship, took turns torching each other over their records, proving who's the most loyal to President Donald Trump and arguing over who's most willing to "drain the swamp." But amid the insults, the candidates missed opportunities to talk about solutions to real issues facing the state. Don Blankenship, Bo Copley, U.S. Rep. Evan Jenkins, W.V. 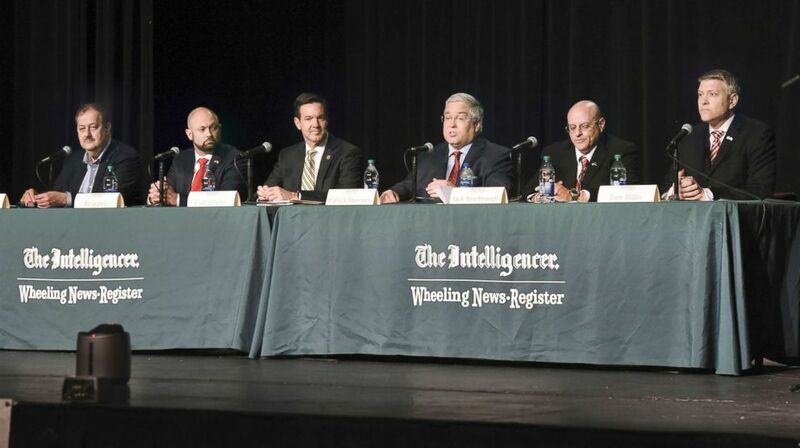 Attorney General Patrick Morrisey, Jack Newbrough and Tom Willis, participate in a debate at Wheeling Jesuit University in Wheeling, W.Va., April 23, 2018. When asked who would raise their hand and support Senate Majority Leader Mitch McConnell in Congress, none of the candidates raised their hands. Blankenship, who has hurled nicknames at McConnell, ducked behind his podium. Blankenship even tried to wear a MAGA-like red hat that said "DITCH MITCH" on stage. The moderator, Bret Baier, had to tell him it was against the rules of the debate. Baier asked Blankenship how he plans to get things accomplished in Washington if he's hurling insults at people like the McConnell's wife, Department of Transportation Secretary Elaine Chao, whose father Blankenship called a "Chinaperson." "I'm not going to D.C. to get along," Blankenship said. "This idea that calling someone a Chinaperson, I mean, I'm an American-person. I don't see this insinuation by the press that there's something racist about saying 'Chinaperson.' Some people are Korean-persons some of them are African-persons. It's not any slander there." None of the three candidates, each carrying their own political baggage, left the debate stage unscathed. Rep. Evan Jenkins walks down the House steps after the final votes of the week, Jan. 11, 2018, in Washington. 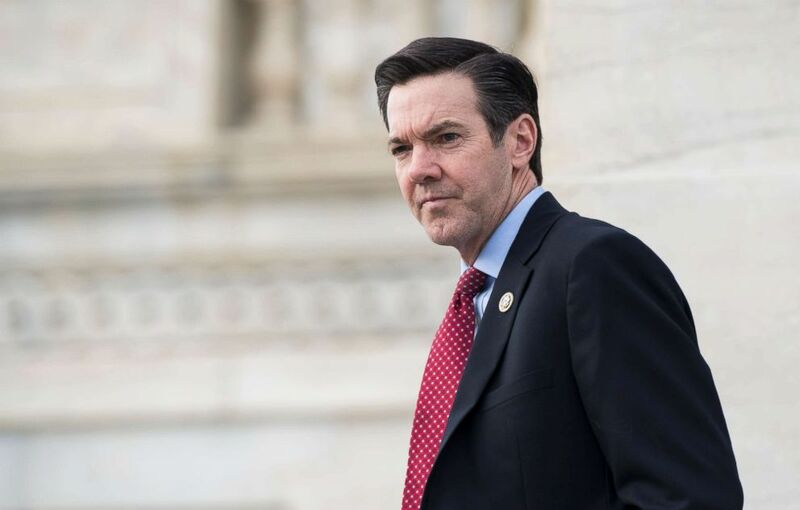 Jenkins was asked about his recent history as a Democrat in the state and defended his record as a Republican in the House. "I put my West Virginia values first," Jenkins said. "Barack Obama devastated our state and our country paid -- he put literally thousands of coal miners out of work." Morrisey, originally from New Jersey and a former lobbyist, was asked if he was a "carpetbagger." He talked about his political record as the state's attorney general. "I feel very fortunate that I am one of the folks up here who moved to the state by choice," Morrisey said. "I love West Virginia with all of the fiber in my beginning." Blankenship, who got out of prison a year ago after a conviction for conspiracy to violate mine-safety regulations, was asked about his Nevada residence and connection to the Upper Big Branch mine explosion. He pointed his finger at a popular Republican villain in the state, the Obama administration. "They sent me to prison for a misdemeanor -- I was the only prisoner that was a misdemeanor," Blankenship said. "It was clear from the beginning to the end that it was a fake prosecution." The most fiery attacks were between Jenkins and Morrisey, with each trying to prove who was most loyal to Trump and the president's conservative agenda. "Patrick was a never-Trump," Jenkins said of Morrisey. "We need somebody who will support the president." The participants missed out on opportunities to talk about how they would address challenges facing the state such as the opioid crisis. Jenkins began by talking about progress being made in the state but then slid into attacks on Morrisey. Morrisey and Blankenship then did the same. "There he goes yet again," Morrisey said to Jenkins. "Did your mom ever tell you that we should wash your mouth out with soap with those lies?" The three candidates seemed to speak to Trump directly when asked if he has the power to fire Special Counsel Robert Mueller. "It's a witch hunt," Morrisey said. "End this investigation now," Jenkins said. "I had a little personal experience with the Department of Justice," Blankenship said, getting a few laughs. "You wonder where this country is going -- it's really crazy." The Mountain State primary is on May 8, and the midterm election is considered a toss-up. Three other Republican candidates were not invited to the debate.